Stripe is awesome, but you need a developer and a server. 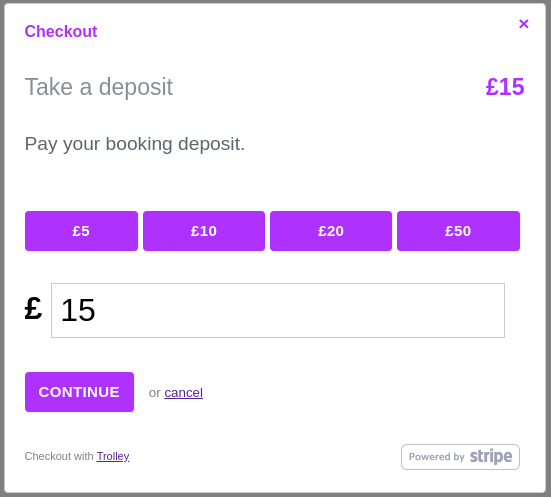 Trolley takes that away and lets you use Stripe with any website, including static sites. 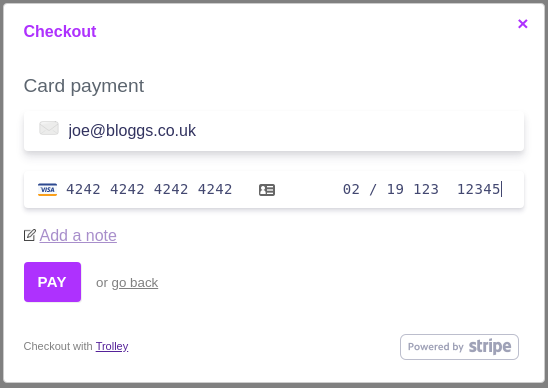 Trolley gives you a secure payment processing back end, handling all the integration with Stripe for you. It takes 2 minutes - you can even create your Stripe account during setup. You keep full power over your Stripe account, too. Trolley is designed to work with any website; from the most basic HTML pages and themes, to CMS like WordPress or new platforms like Netlify, Gatsby or Contentful. Want to talk before you sign up? Building sites for multiple clients? Get in touch to talk about sharing the payment fees we collect from customers.